Investors don’t usually think of insurance as part of their investment strategy, but they should. 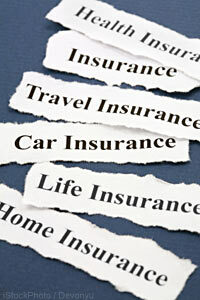 An individual’s insurance needs change during their lifetime. Insurance products over the past decade have become increasingly innovative in the number of ways these needs can be accommodated. Specialized health care and illness insurance as well as wealth and estate planning insurance options enable investors to protect themselves during their lifetime. They additionally offer legitimate ways to maximize retirement savings and minimize estate tax liability. Knowledge is power, and this is especially true when it comes to money. Tracy and Kamal reveal five things you need to know about investing that will help you make better financial decisions. Are you ready for some financial advice? If you suffer from the symptoms of "portfolio paralysis" then it may be time to speak with a financial advisor. It’s never too early to start planning for your children’s education, even if they are still toddlers. It’s simply good financial planning. It’s good retirement planning as well, by reducing the likelihood of parents having to dip into retirement savings, or take out loans, during that decade running up to retirement age when their children are starting to head off to college. Think of it as a continuous life-long process, prioritizing and guiding your personal financial decision-making and imposing order on your financial life as you live it. A Financial Plan for you and your family creates a comprehensive and integrated roadmap as you travel through life’s financial stages. In today’s markets, it is more important than ever to maintain an unwavering focus on your long-term investment objectives. This is especially true when tough markets start to drag down even the best investments. At times like these, it’s prudent to remember that there are rights and wrongs when it comes to managing your portfolio. Women and Money: How gender affects financial decisions. Women currently own half of the financial assets in Canada and projections are that the number will rise to 70% by 2019 (Oppenheimer Funds, 2005 Report on Women and Investing). Tom Peters identifies this trend as a “demographic tsunami.” This presents an enormous opportunity for women.